The OG network can't quite keep up with the new kids on the platforms block. Written by Sonali Bloom, HBS ’17. This post was originally published on the Digital Initiative’s public blogging platform, Open Knowledge. Craigslist grew rapidly by leveraging hyper-local network effects?—?but now faces market share erosion as other platforms enter niche segments. Who will win, and how? Launched in 1995 by Craig Newmark, Craigslist.org began as a hyper-local classified ad website. A newcomer to San Francisco, Newmark searched for a way to find out about local events of interest to software developers; finding nothing that fit his needs, he would research events and email them to his friends. Initially, word-of-mouth drove readership growth, and new users began to use the distribution list for more categories than events. Expanding into a web-based platform, Craigslist ultimately evolved to enable users to post or browse posts of apartments for rent or sublet, items for sale or barter, jobs and freelance work, and even personal ads of varying levels of propriety. From its earliest days, Craigslist benefited from hyper-local network effects to create value for its users. San Franciscans read the email bulletins to find interesting events near them, ideally in their own neighborhood; they would have had little interest in events taking place in other cities. The localized geographic focus was critical for jobs and items for sale, as well. Users looking for a new job would generally prefer not to have to relocate, and employers would value finding someone to start the job (or complete freelance work) immediately, without high transportation or relocation costs. Users looking to buy a used couch might prefer one that could be carried home on foot, and sellers would prefer to deliver a couch if they didn’t have to carry or drive it very far. Thus, the more local users perused work opportunities, the more local employers would be likely to find an employee (and thus, the more they would be inclined to post on Craigslist); the more sellers used Craigslist to post merchandise, the more buyers would browse the site looking to buy. Further, the breadth of categories featured on the platform meant that visitors posting jobs might end up perusing the ‘apartments for rent’ sections, and vice versa. User growth skyrocketed in Craigslist’s early years, reaching 9 billion monthly page views in 2008, when the company was valued at a formidable $5 billion. Unlike many ‘unicorn’ companies we read about today, Craigslist did not monetize its platform by charging most or all of its users, launching freemium programs, or evolving into a subscription. Rather, the company charged flat fees for posts in specific categories, such as $25–75 per job listing in certain top cities such as San Francisco, and $10 per apartment listing in New York City. 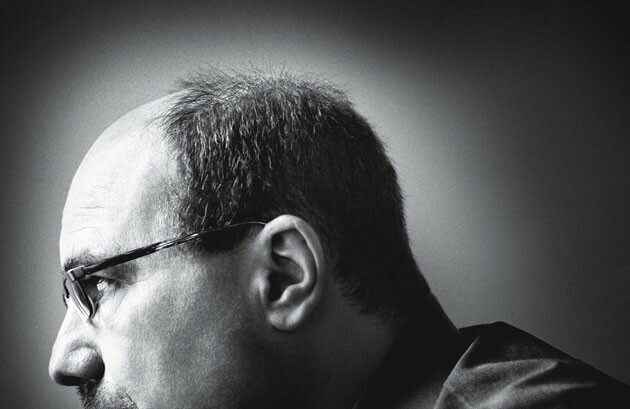 Craig Newmark never prioritized monetizing the platform, and has maintained that he never really wanted to charge users for engaging with Craigslist; despite this, even these few flat-fee postings drove revenues of $80 million in 2008. Craigslist kept the platform extremely streamlined?—?to the point of having a very clunky and unattractive user experience and no customer service?—?and thus kept headcount and costs low, driving profitability. Craigslist’s growth did not remain perpetually meteoric. Ultimately, competitors did emerge and begin to steal market share from Craigslist?—?but not by competing head-on. Craigslist originally won the market because of its strong, local network effects, and by being the ‘everything’ platform spanning jobs, personals, housing, sales, etc. Further, Craigslist’s $0 price tag for most users in combination with its strong network effects presented an enormous barrier to entry for potential competitors; for a long time, none emerged. 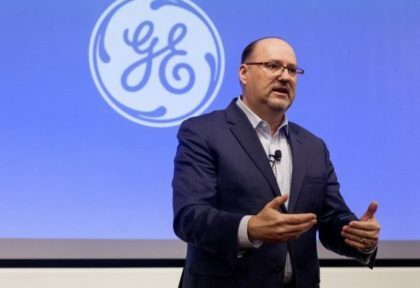 However, Craig Newmark ideologically avoided improving the site’s user experience, and Craigslist never offered customer service or any sort of quality assurance or security on the transactions resulting from its platform. This created an area of opportunity for competitors who could differentiate their products on these three factors: user experience, customer service, and consumer confidence. The rise of Airbnb, Etsy, Match.com, Stubhub, Upwork, all indicate that new platform companies were able to take over specific segments of Craigslist’s initial product offering. Each offered superior user experience, customer service, and quality assurance. For example: users slowly began to shift from searching vacation rentals on Craigslist to vacation rentals on Airbnb, where they could browse glossy pictures, easily determine rental locations, read reviews and assess pricing, and book instantly; they were also had the security of an Airbnb refund if the rental fell short of its advertisement. Users were willing to pay?—?listers, through a commission, and renters, through fees to Airbnb?—?for these product and service upgrades. At its outset, Airbnb even leveraged Craigslist’s scale to acquire its earliest customers! This is a classic case study of how to break up network effects through product differentiation, with the unique elements of a piggy-back strategy, and of being able to charge users more for a new competitor’s product than for the incumbent’s. 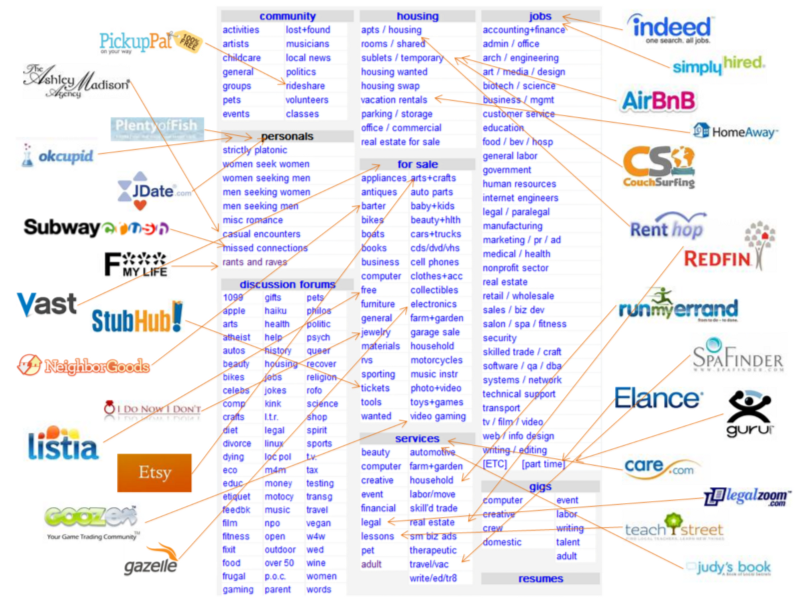 So what is the future of Craigslist? Will it always have a large share of the local-network market, or will that, too, eventually be eroded by emerging e-commerce competitors operating on a global scale?